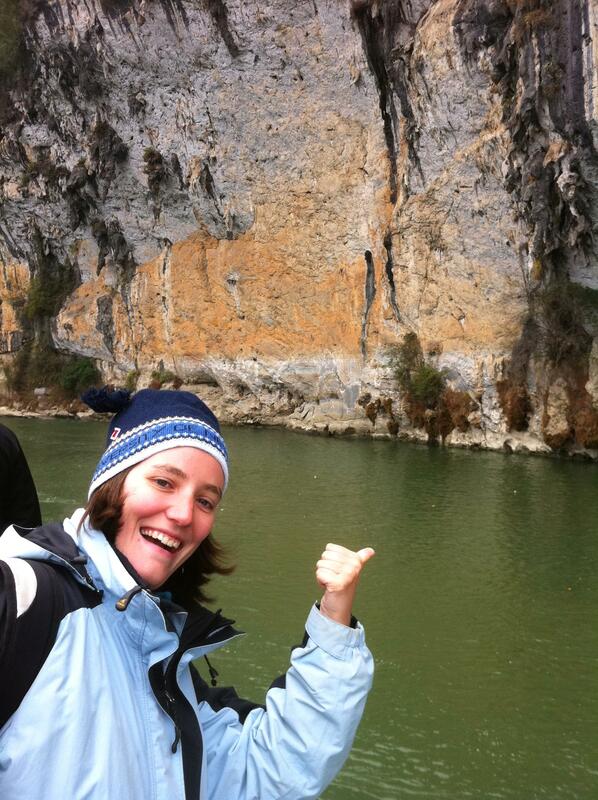 Geocaching | Where is Yvette? A little over four years ago, while killing time before class in my M.Sc. 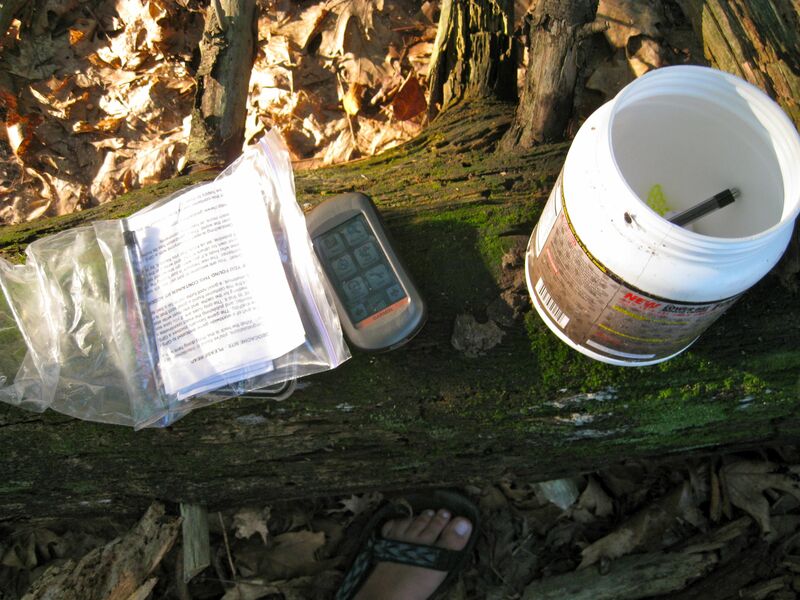 days in Cleveland, I was looking around for new apps for my iPhone and remembered a thing I’d heard about called geocaching. 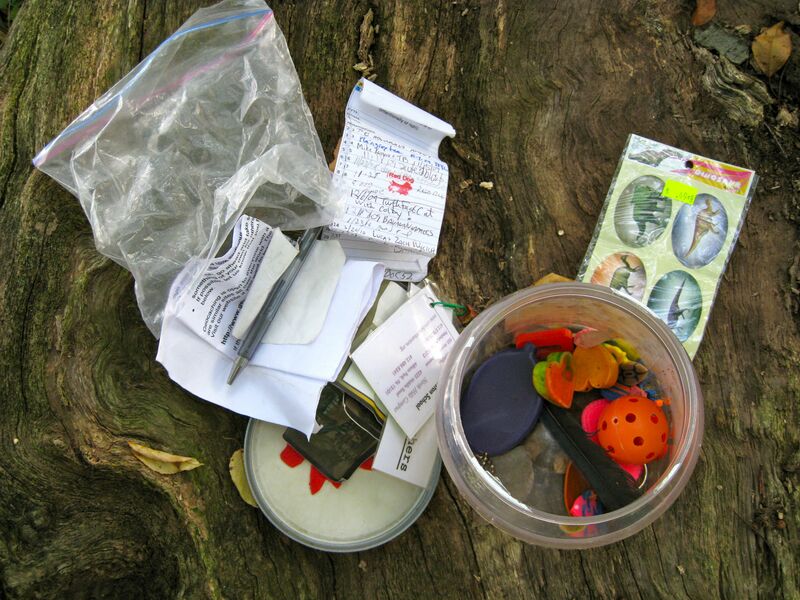 It was the idea that a person would hide a box somewhere (the geocache) and upload the GPS coordinates to the Internet, and then other people would find them in a bit of a scavenger hunt. It was an idea that I found interesting when I first heard of it in college, but a GPS was too pricey for me as a student (and I had no car, making me a lot less mobile) so I promptly forgot about it. 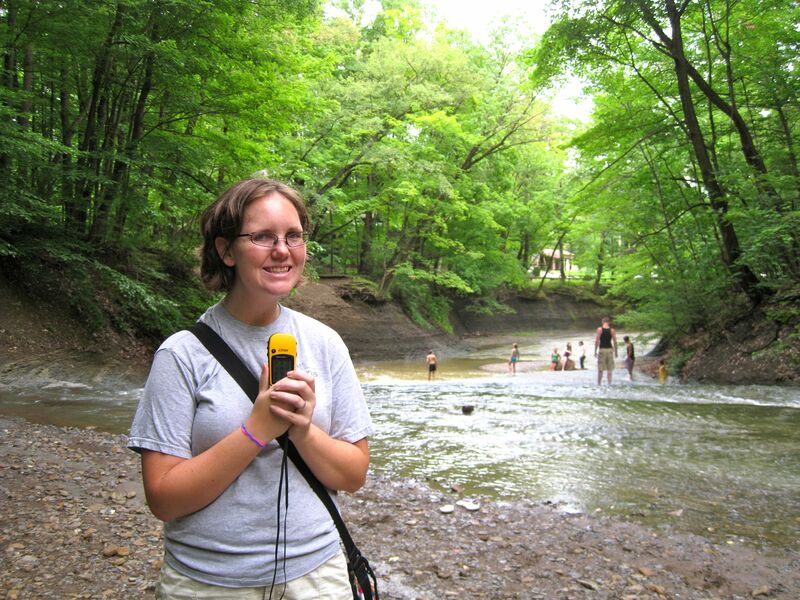 But a search that day revealed that in the smartphone era one could go geocaching via a smartphone’s GPS, and there was even a free app, and hey there are a lot of these things around Cleveland! 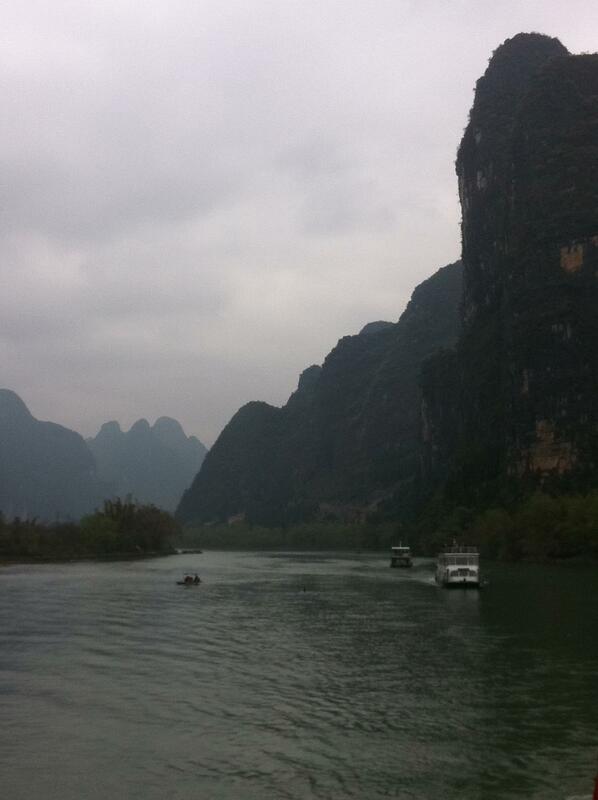 The view from the famous boat cruise on the Li River between the city of Guillin and Yangshuo. Guillin is a rather generic big brother city and Yangshuo is rather touristy, but honestly I’ve never seriously minded very touristy places because a. lots of people tends to mean it’s something worth seeing, and b. I always find it the height of irony to complain about tourists when you are one yourself, no? This commentary essentially explains everything you need to know about Chinese tourism. Well that and most of the people participating in it are local Chinese with matching red and blue baseball caps following someone around with a flag, but I digress. 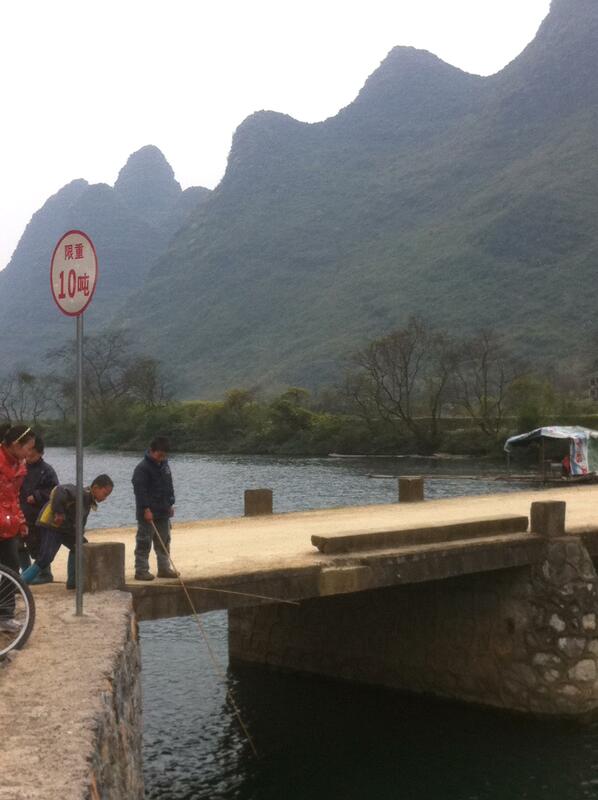 The Li River isn’t the only river around here actually, and just a few miles outside town we found the Yulong River complete with some local boys fishing- The thing to do on the Yulong River is go for a ride on a little bamboo raft (well traditionally bamboo, lots of the rafts these days are made out of large PVC pipes instead), but we did not. I don’t know whether you can notice in the pictures but it was actually quite cold in southern China- seriously, the temperature never got above the low 10s (50s in Farenheit) for a few days- so bamboo rafting didn’t sound tempting. 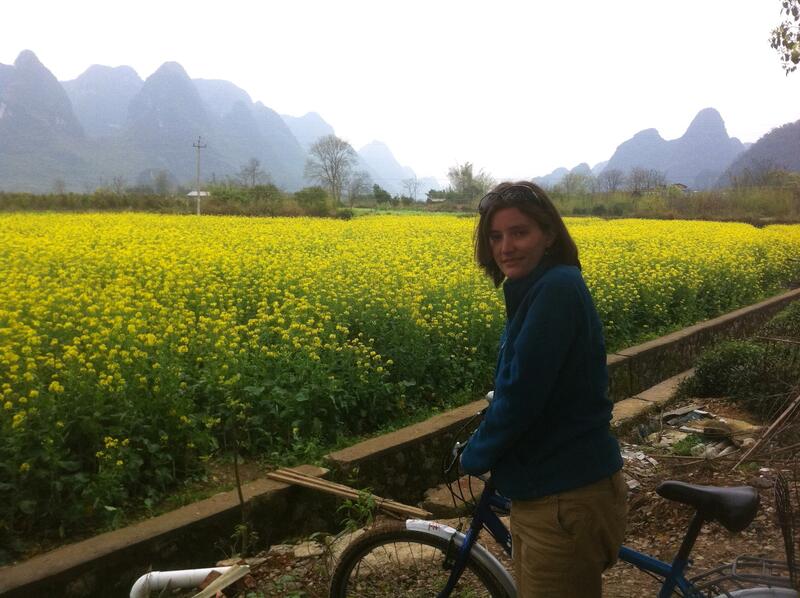 This was to be fair the very end of the rainy season and unseasonably cold even for that so Yangshuo is usually much more pleasant- good, because most of the hostels and restaurants do not have central heating! But hey there are always advantages to the off season, namely we didn’t have half as many tourists to share it with as what come through here in high season. 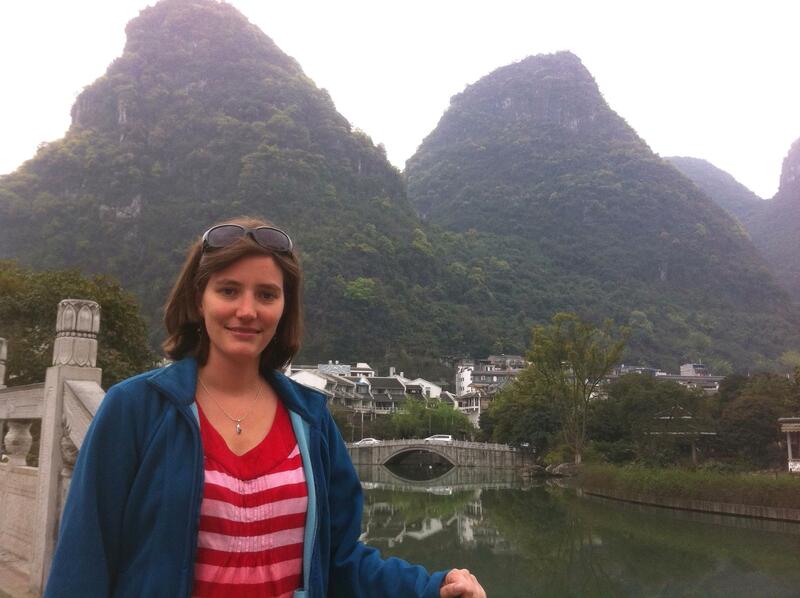 Which is good because Yangshuo was already touristy enough, I have no idea where everyone stays in summer! I’m not sure if this is one of those things that only a mother could love, but my M.S. thesis (“An Extended Study on the Effects of Incorrect Coordinates on Surface Detector Timing”) is submitted and will be defended next week. This fellow, alias “Figure 6,” is the most colorful and hence cutest of the graphs. Yes, I just called a bunch of Gaussian distributions cute. Shut up! For anyone who actually wants an explanation here, what I basically did for my M.S. thesis was take GPS units similar to those in the Pierre Auger Observatory and test to see what would happen if the position got increasingly wrong on them. In addition to position data a GPS unit also gets timing from satellites, making them a very accurate clock, and accurate timing is exactly what you need when you’re trying to track a shower of particles hitting the ground at nearly the speed of light. Literally every nanosecond counts! Normally in the field we just set the position to make the timing data more accurate (because the GPS won’t have to worry about finding where it is and what time it is with each cosmic ray strike), but sometimes that’s off for a myriad of reasons. 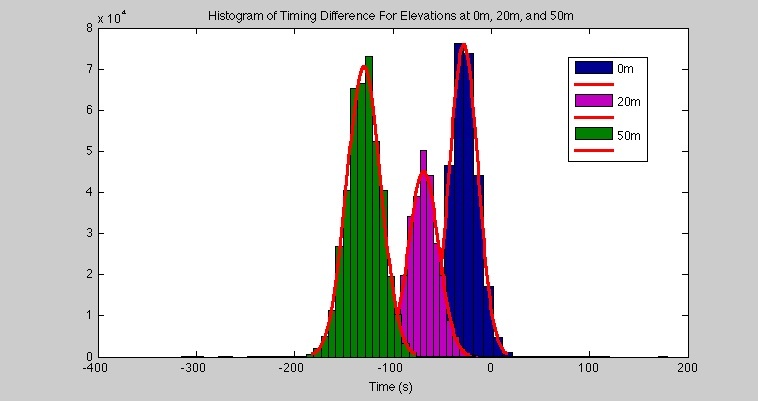 So the above graph is the product of modeling that: one GPS “clock” was allowed to find the correct position/time and the other was given an increasingly incorrect position, and the difference between the two tells you what happens when you actually have an incorrect position in the field. Then when you add up all those differences over the time it took to collect the data (five days was typical, with one data point each second) and plot the distribution, you discover that the higher you go the quicker you receive the signal. Just what you’d expect when a GPS is getting signals from overhead satellites really: when you go higher up you’ll receive the signal just a little bit quicker. And that, ladies and gents, is what science looks like. Thank you, I’ll be here all week. Posted in Argentina, Geocaching, Ohio, Photos, Science! In New Hampshire this week, so seemed like a good time to write this one up. Pictures are from a hodgepodge of years, but not like the lake ever changes much. 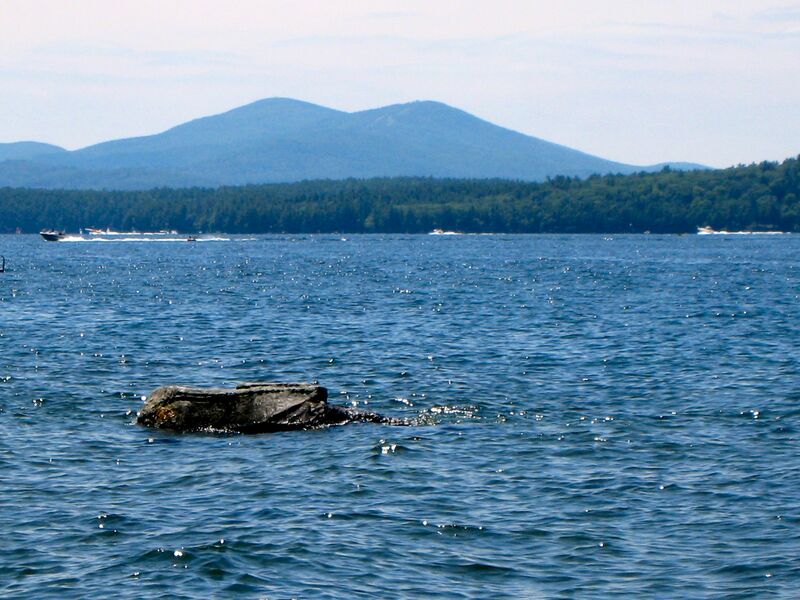 I’ve mentioned this before, but the Mecca of my summertime is Lake Winnipesaukee in New Hampshire, right next door to where On Golden Pond was filmed. A childhood of summers spent here might make me a touch biased, but I don’t know why someone would go anywhere else when the weather’s good! 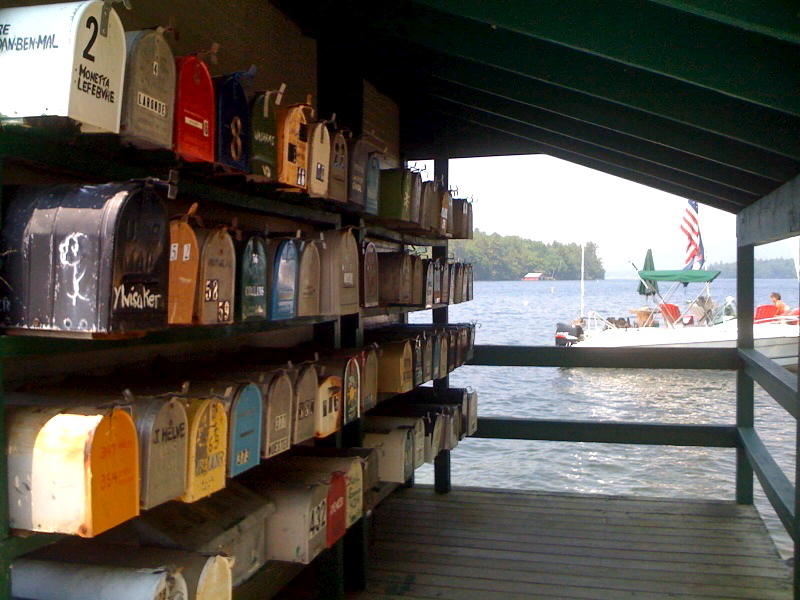 Every summer one of only two floating post offices in the United States, the Sophie C, comes here to deliver mail to the ~200-odd cottages on the island (I checked and the other one is based out of Detroit and gets mail to passing ships in the Great Lakes). Cool! But the funny thing to admit is even though I’ve passed it hundreds of times we’d never docked here until last Memorial Day because I wanted to find a geocache. Good a reason as any right? So it turns out if you hop onto the dock this is what you find in the back of the post office- normal enough, but please realize that it’s kinda cool to see after seeing the other side of a building for 15 years or so! And it turns out inside the post office building itself is actually a little library of books and movies for people on the island to borrow which I had no idea- makes sense though, as I suspect summering on an island not accessible by car involves a lot less heading to town for an ice cream and more sitting around enjoying a book. I suspect moving in/out would be seriously annoying though. Anyway, I didn’t take pictures but the geocache near the post office is a pleasant half mile walk into the forest behind the P.O. on a series of trails we had no idea existed before. It’s hidden in the old ruins of a hotel that we also had no idea had been there, but that’s the fun of geocaching! 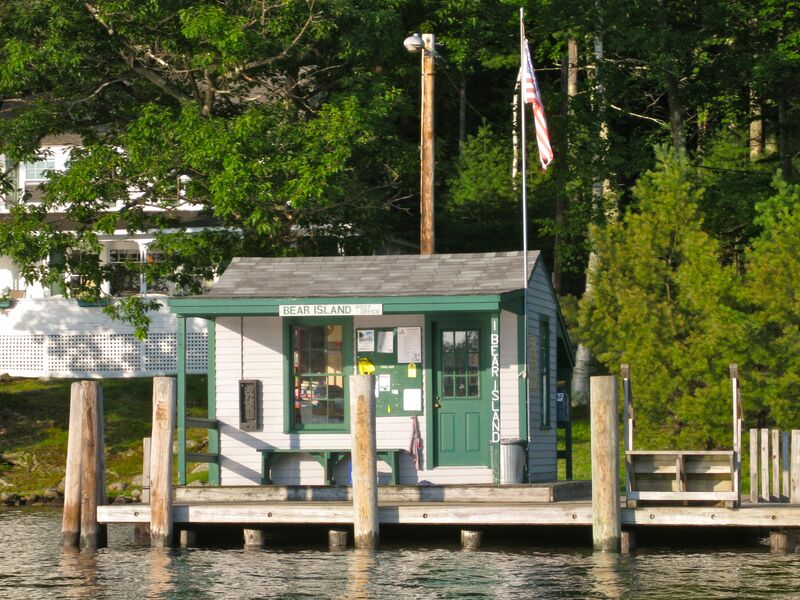 Certainly something worth mentioning if you hang out on Winnipesaukee long enough. And yes just enough goes on around here that visiting a post office counts as a feat, but isn’t that part of the appeal? Hey, it’s a nice creek. 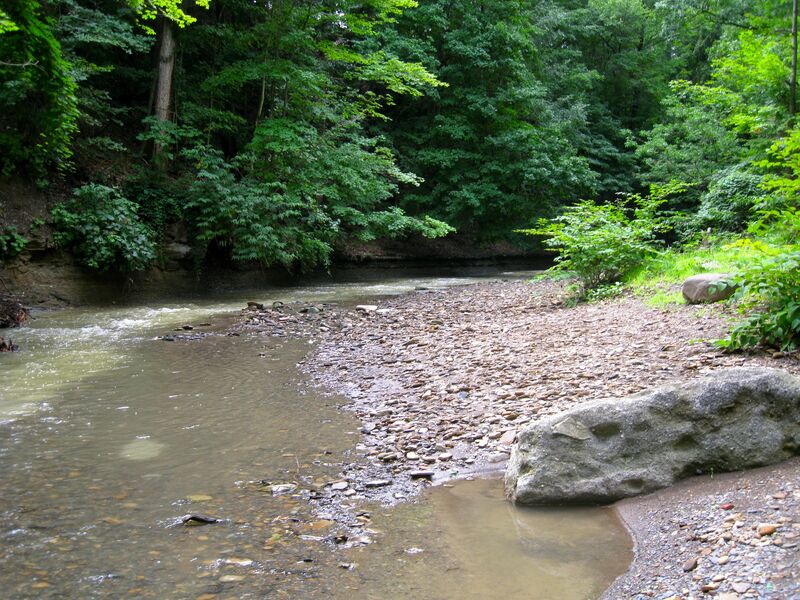 The thing about this creek is that you need to wade along in it to get to the caches, which considering the humid weather lately was much appreciated! Showing my strength on top of a granite boulder dubbed “the Canadian” as such boulders in this part of the world were deposited in the past few million years by retreating glaciers from the north. One of the thoughts that never ceases to amaze me while looking at the Great Lakes is how very fleeting the terrain in this part of the world is because in a blink of an eye on a geologic timescale Lake Erie was mercilessly crushing the terrain under several miles of ice. Of course such hot days make you wonder when this might happen again, but that’s another story. 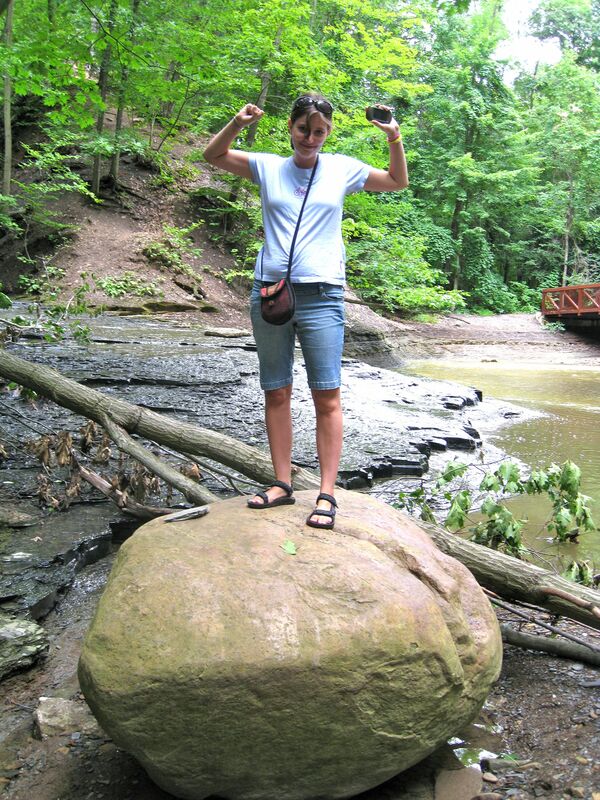 We posed at this rock by the way because it turns out the Canadian is a geocache in itself– a special kind known as an earthcache where instead of finding a container you find an interesting geological feature and answer a few simple questions about the science. They can be pretty fun (and hey, if you ever find yourself at Mosi-oa-Tunya you should do that earthcache as I set it up! ), but we ran into an issue here when we read the description and realized the criteria required us to measure the height and circumference of the rock with a tape measure we didn’t have. Units weren’t specified however, so we ended up doing the old physicist trick of units that suited the problem at hand and thus our answers were “1.5 arms” and “2*pi*arm” respectively, where 1 arm is the length of Alison’s arm from shoulder to fingertips. Continuing along, we turn into a smaller, narrower creek that was in a rather impressive steep valley for this part of the world. Alison here is demonstrating that we probably should’ve done the water caches last, as we inevitably got rather wet and soggy for the rest of the day (problem was there was a lot of sediment in the creek and visibility in the water was nil after more than a few inches, so we stepped into the deeper water more than once). Or at least, you know, considered the possibility that wading up a creek was a good reason to bring an extra pair of shorts. This picture, by the way, resulted from one of the questions for the waterfall earthcache telling us to estimate the depth of the pool and when you’re totally soaked the logical way to find the answer is go wade in and find the deepest spot, right? 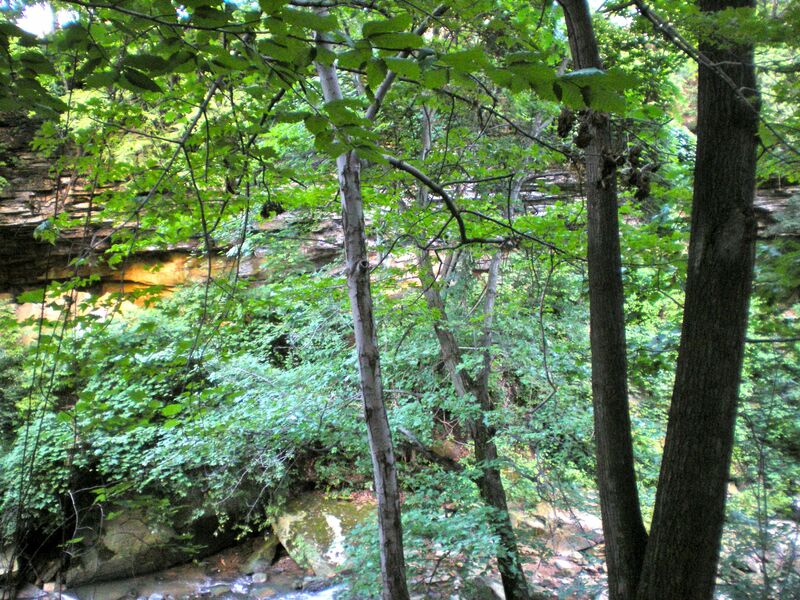 I don’t know what’s more strange, the fact that there’s a decent-sized cliff in Parma, Ohio or that if someone posts on a website that I should scale it to find a tupperware container I actually end up doing so. Hard to get a good picture though of the whole thing through the trees! Huzzah! Found it in about the third place I checked while Alison was still scrambling up to the ledge area, which was a nice feeling because it would’ve been depressing to go through all that and not find it I reckon! Then, of course, it was time to go home and indulge in those showers we’d spent an increasing amount of time fantasizing about (cleanliness is like food- when your lack becomes obvious it begins to dominate the conversation). All in all a successful cache hunt! Posted in Geocaching, Ohio, Science! 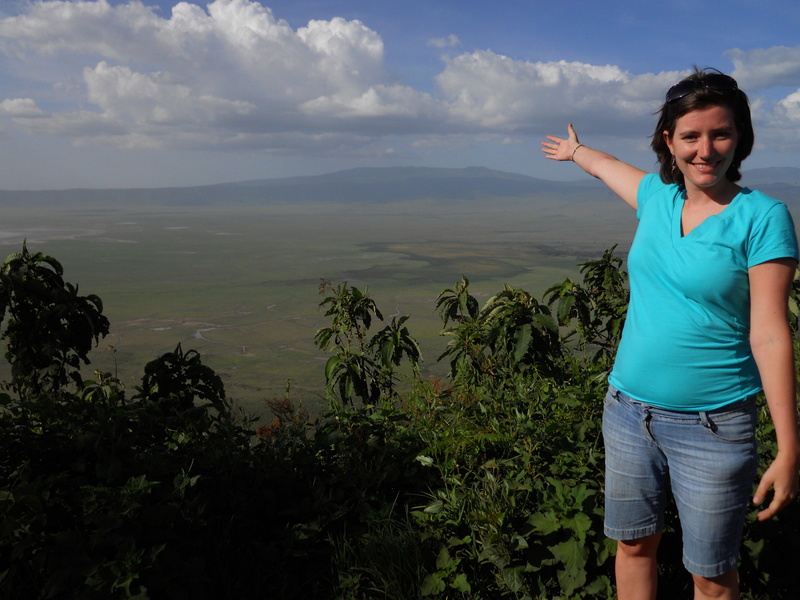 If you hang out with me long enough, particularly in a somewhat exotic location, eventually you’re going to hear about geocaching. I started doing it some months ago when I was bored in Cleveland and have had a lot of fun with it- in short there are over a million hidden containers on all seven continents (like the one above), and you use GPS to find them. Definitely a great way to get you out and about, and I love it because I love an excuse to wander and find all sorts of places I’d never have known about otherwise. To start with, we go to a park. It’s kind of amazing how many parks seem to have caches these days to the point where I can’t think of any near me that don’t! 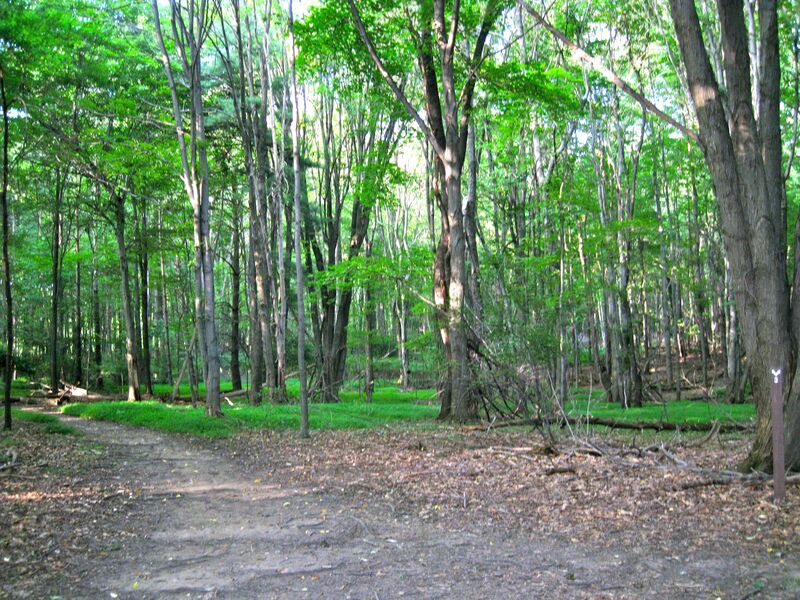 The one pictured here is Hartwood Acres north of Pittsburgh and not far from the house I grew up in there, which is so big it has several caches in the woods. You select a cache from your trusty GPS (there’s a geocaching app for the iPhone but it’s not terribly accurate in the woods! ), which will bring up a compass showing how far away you are and off you go! An interesting tree I couldn’t resist snapping a picture of while on the hunt. 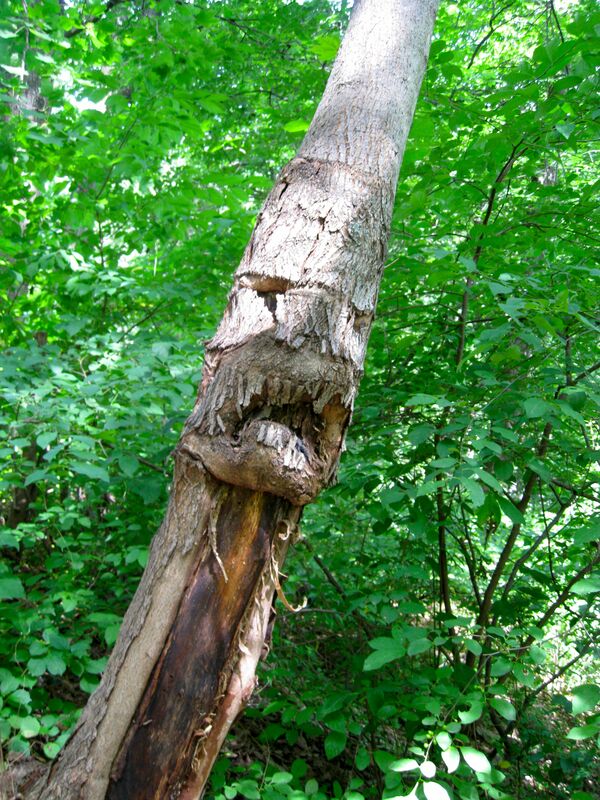 The guardian of the forest perhaps? You can spot the lid of this cache off on the right side of the picture, which is being guarded on the left by a GIANT SCARY SPIDER. I’d argue that my time in South East Asia killed off any squealing I might have possessed regarding creepy-crawly things especially when they can’t kill you (and Africa was a refresher course in that), and I’m pretty sure one is safe in the woods of southwestern Pennsylvania. 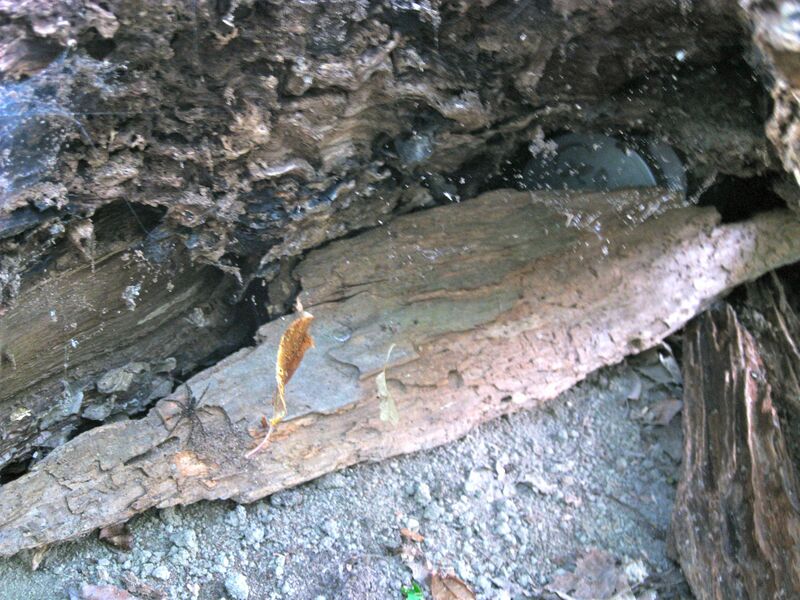 Plus who would get pissed off at a spider for building his web in the woods at the end of a hollow log anyway? After a gentle shake or two of the piece of wood in front he scampered, so I could finally get out the cache. Finally woohoo, the contents of the cache! 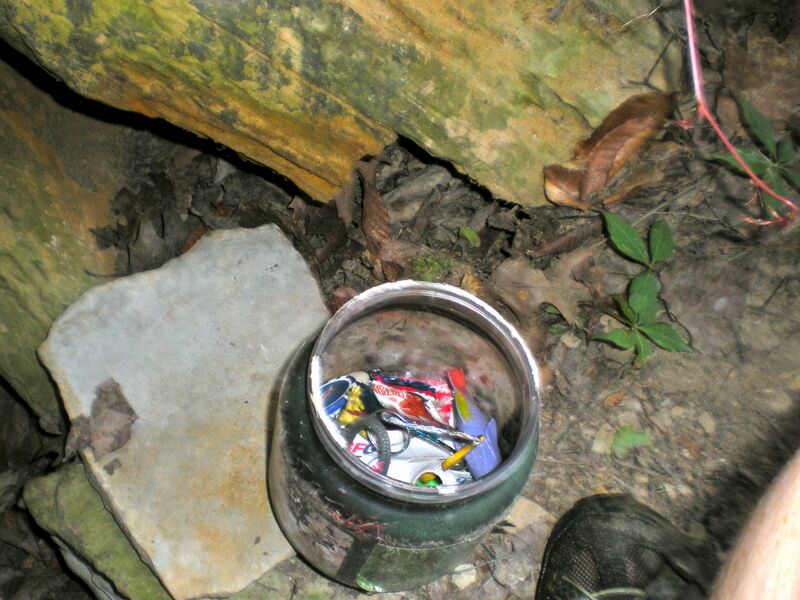 Other than the logbook where you can sign your name and leave comments there are little trinkets in bigger caches that are up for trade. One of the things people make a big deal about when they’re starting out is how caches contain swag items that you can trade for, but unfortunately they’re usually not that interesting as over time they end up being cheap little toys for kids and the like as few seem to strictly follow the “trade for something equal or better” mantra. So I’ve only traded for a few things- a small water pistol, a watermelon chapstick still in its packaging, and a rubber duckie dressed as an astronaut come to mind- preferring instead to move along Travel Bugs whenever I come across one. 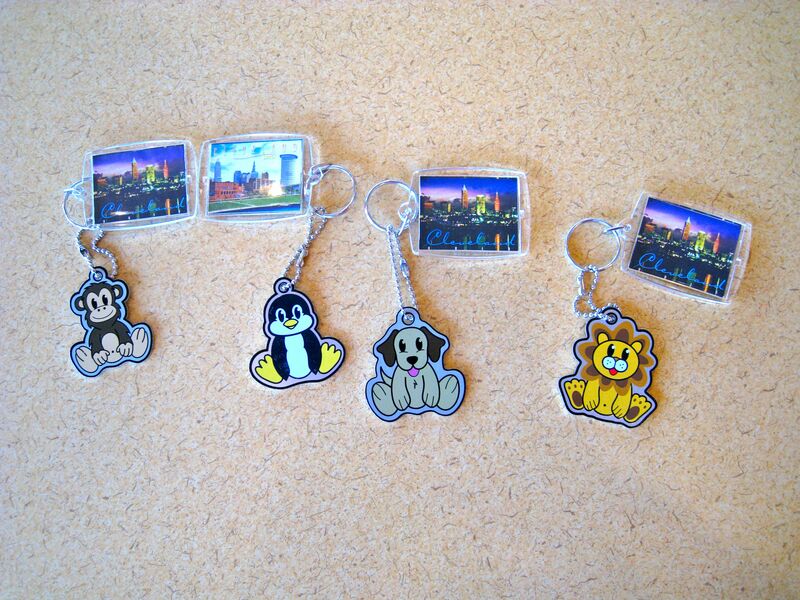 Travel bugs are little items that move from cache to cache and have a tracking number on the back so users can record each move. The four above are ones I sent off into the wild a month ago actually with missions that they should travel to four of my favorite countries- left to right Thailand, New Zealand, Hungary, and South Africa– and no word on if or when they’ll make it but I’m optimistic! Plus hey they’ve been out a month and while two are in Ohio the penguin’s made it to Maryland and the monkey was last spotted in Florida, and I’m optimistic about what sort of adventures they’ll have without me! And that’s my little summary about my latest hobby. You should try it as it’s quite fun- there’s an app for smartphones these days in case you don’t have a GPS already, or if I’m local just ask to go on a cache run as I’m usually up for one. Just be sure to watch out for the spiders! There’s something to be said for being a French monarch. Sure you’re the last one holding the debt your head gets chopped off, but on the bright side you get to live here! I came out to Versailles on the train from Paris that swiftly takes you out of the city and deposits you a five minute walk away from the palace, which is just enough space for touts to warn you that you should sign up for their tours to avoid the lines. 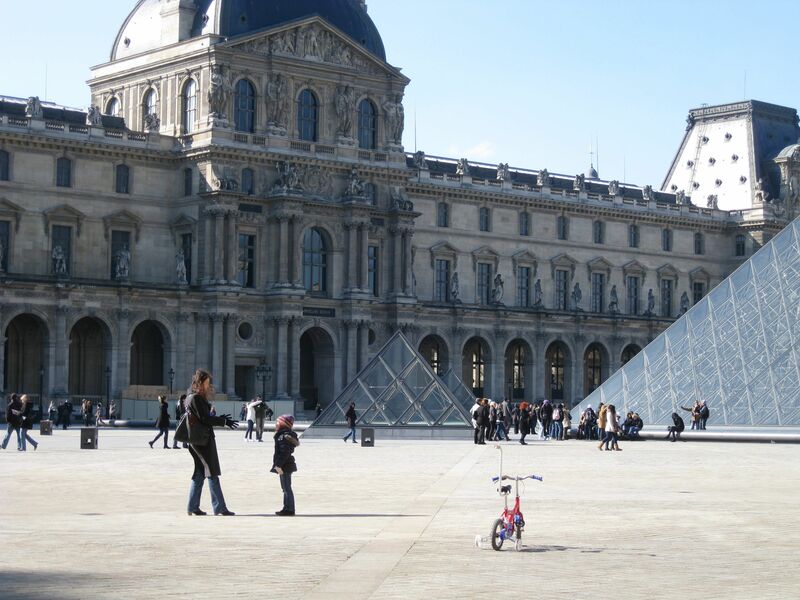 They do this all over Europe at the main sites (such as the Vatican Museum) but I knew from my prior European romps to not pay attention in March- I’m sure it’s terrible in summertime, but how many people do you see around me in this picture? That’s right, enough to sort out tickets and the audio guides in five minutes! 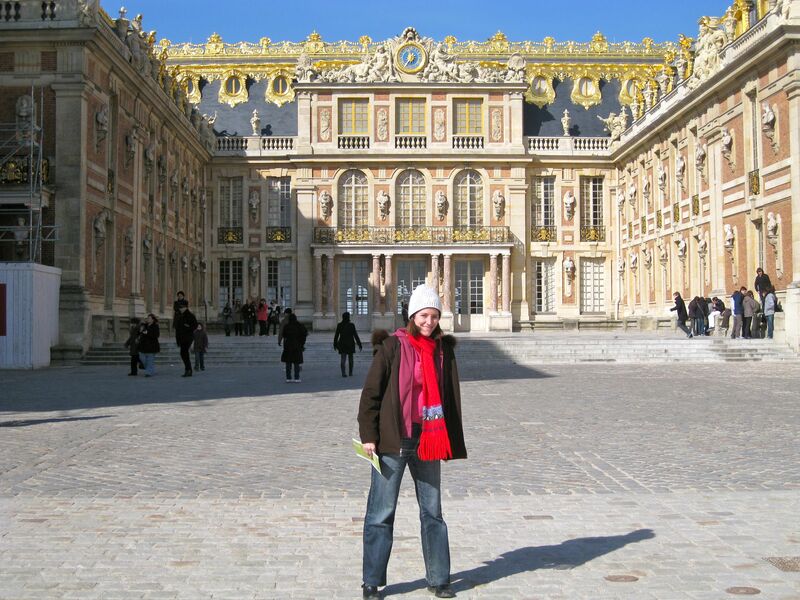 The thing about Versailles is it has played such a huge role in the history of the world that it’s hard to say something incredibly unique. After all, it’s big. It’s ostentatious. It’s a place filled with so many details both in decor and history that you get overwhelmed trying to take it all in. 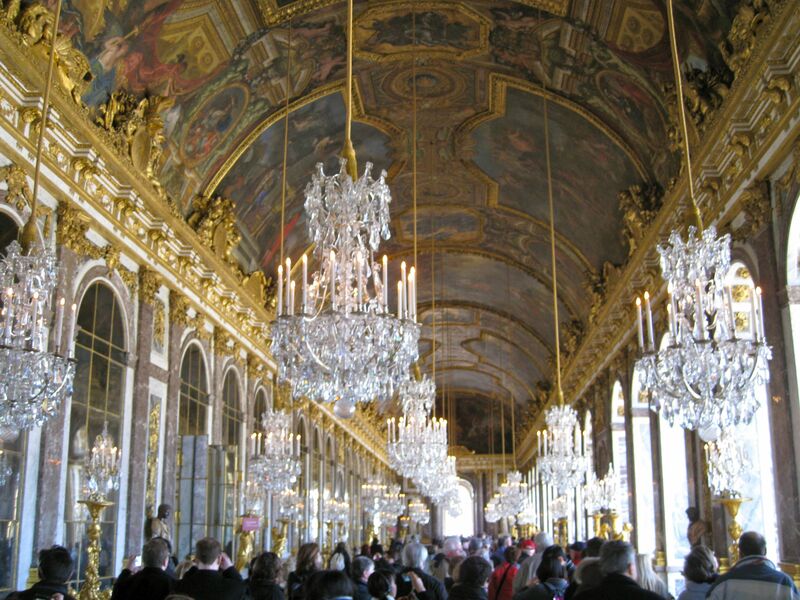 Take this room, the famous Hall of Mirrors, which was originally a ballroom but then took on a scattering of functions such as the signing of the Treaty of Versailles. Not only are we talking about a room literally fit for kings, we’re talking about the one where World War II and the fate of the world was set in motion! 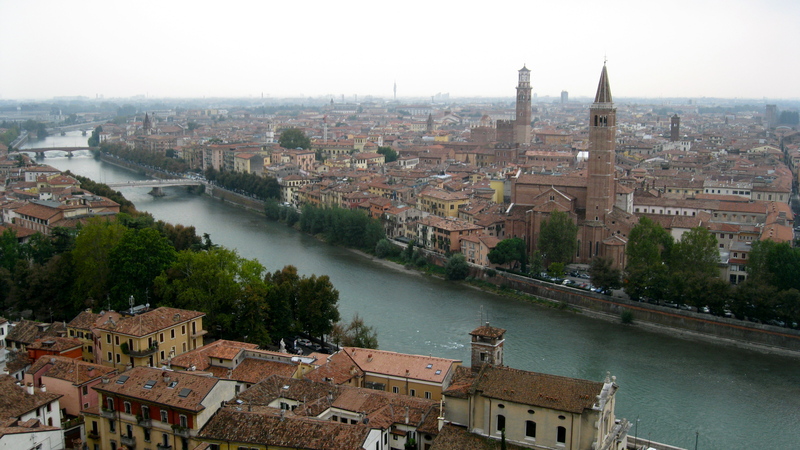 The view from the second floor of the king’s private chapel, which only he and his family would use. If you were lucky and a favored courtier you might be permitted to hide up here on a second floor side balcony. 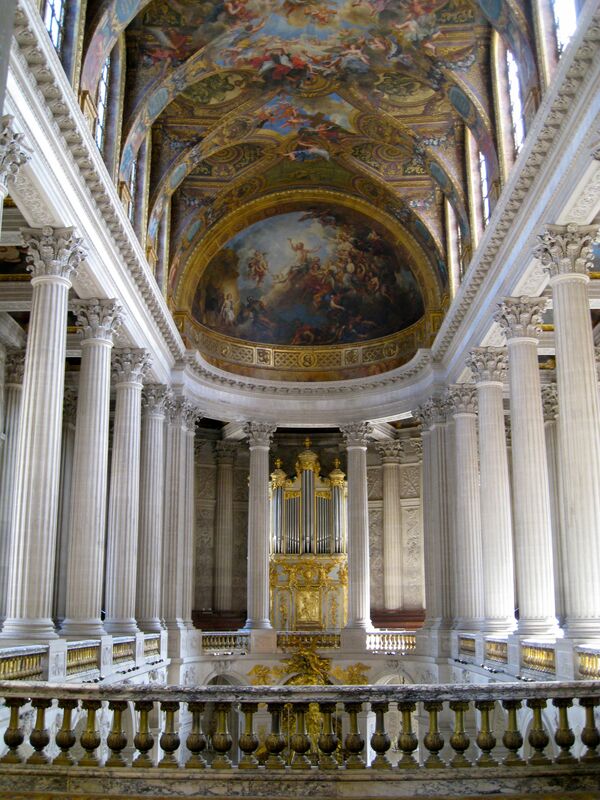 What I really liked about this chapel was a picture of a photo exhibit currently going on at Versailles which was showing important moments since the palace has been a museum. (Which, it’s curious to think, it has been much longer than it was ever a palace.) This picture took place towards the end of World War II and showed American G.I. soldiers who had liberated the palace. What I loved about it so much was the expressions on their faces that was a mixture of amazement and awe, as the bunch of boys off the farm clearly hadn’t even considered that there might be places in the world such as this. But there are, and the amazement of the modern age is we are all allowed to see them. As long as you have about 20 Euro that is. Now I may get carried away by history sometimes, but forgive me as it’s kind of hard. 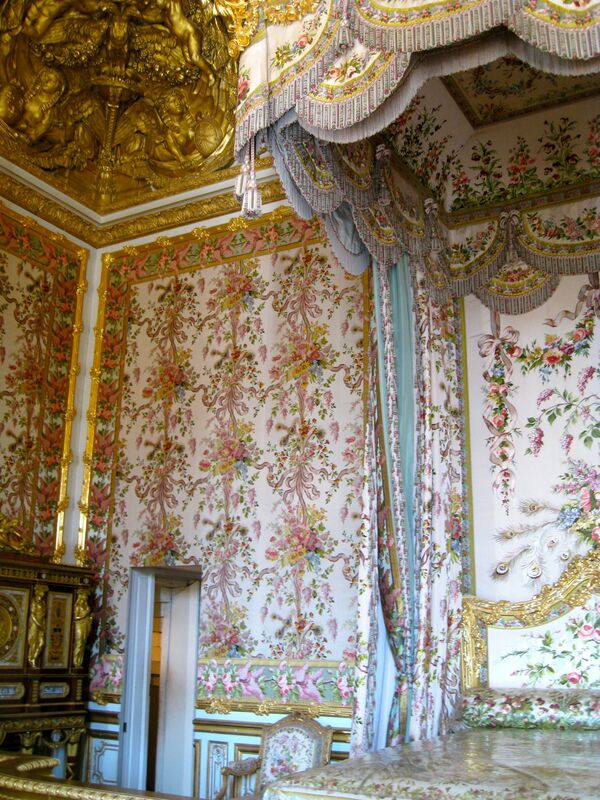 For example, can you imagine the absolute horror of Marie-Antoinette if someone had told her that in the future thousands of commoners would be filing into her royal bedchamber and it would be exposed for all the world to see? And about half of them would have nothing more interesting to say then “hey Annette, look at that fancy wallpaper! Doesn’t it look like that stuff your great and Gertrude wanted to hang in her second bathroom?” The horror! Plus really now, the wallpaper isn’t the most interesting thing in this room anyway. You know what is? It’s that little door in the lower left of the jewel cabinet that looks completely hidden when closed: Marie-Antoinette escaped from the Parisian mob calling for her blood through the secret passageway it connects to during the French Revolution of 1789. It took a few hours to get through everything in the palace, but I headed out afterwards into the garden to explore a little. The grounds of Versailles are huge- it would take more than one hour to walk from one side to the other easily- and they’re also free so the locals make good use of what is essentially a giant park as well. Makes me wish I had the former grounds of a palace to go biking and jogging in! 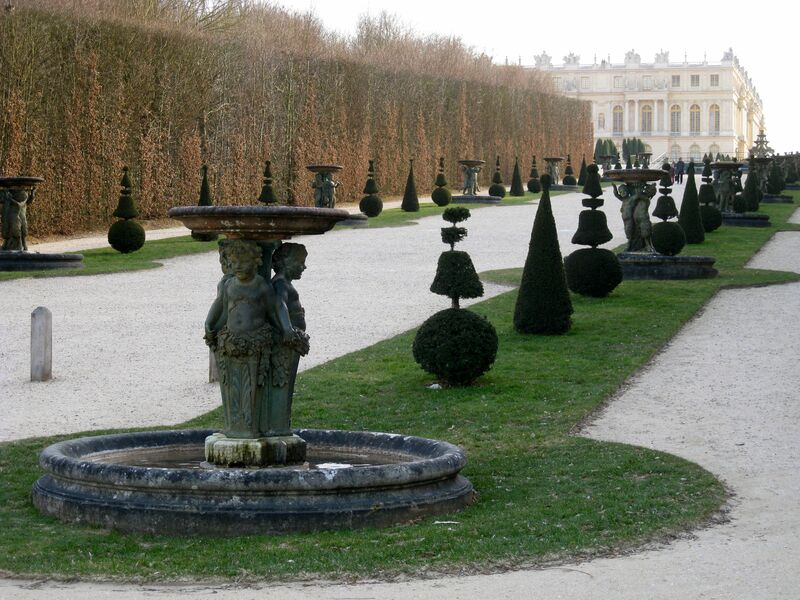 Also, it should be noted that the trivia fact of the day is the reason aristocracy trimmed their bushes so precisely like in the picture above is because it was supposed to symbolize their triumph over nature. Something to think about next time you trim the hedgerow! No word on how that triumph over nature thing worked out when it came to the physics of sharp slicing blades though. 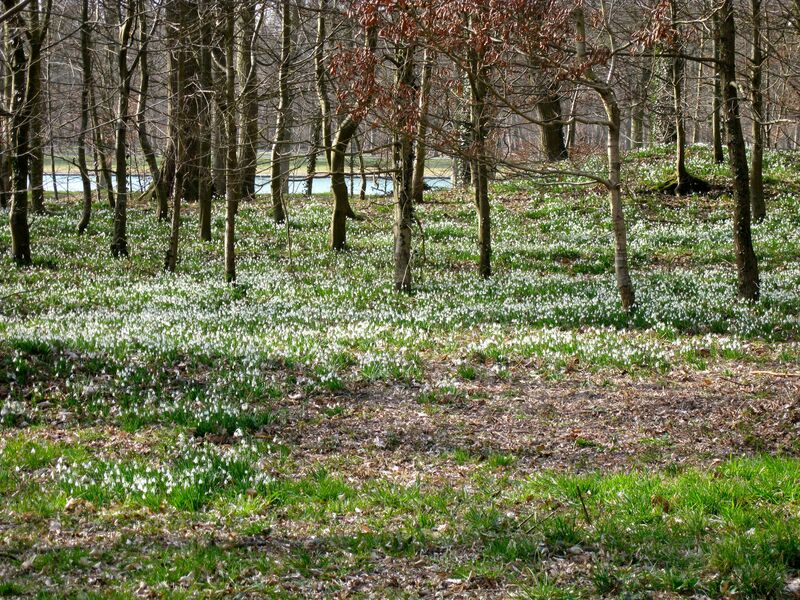 There’s a fair bit of the grounds itself to see- I ended up doing a bit of geocaching as it was a perfect for it- but the best thing about the grounds of Versailles this time of year were the snowdrops. Thousands upon thousands of snowdrops blanketing the ground and covering everything in sight. I was in love, and can’t imagine the forests are half as pretty in summertime! After that, footsore but happy about how the day was turning out, I headed back to the station for the ride back to Paris. Feeling plenty hungry too, and sat down for a dinner which I’ll detail later!